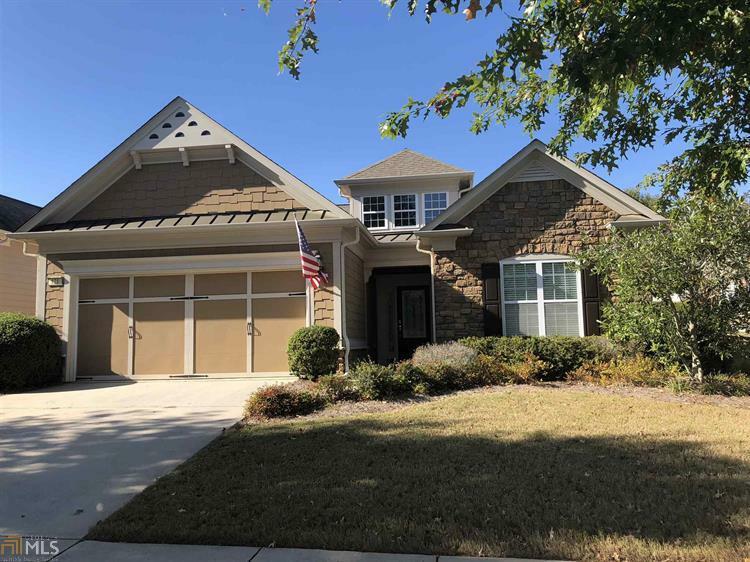 Below are four (4) breathtaking Sun City Peachtree resales that are presented to you exclusively by Jessica Horton. 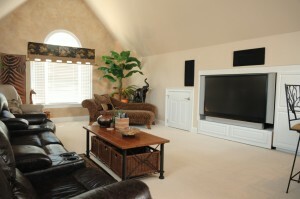 For your online browsing convenience, each of Jessica’s featured homes has dozens of vivid photos (typically, well over 50) that capture nearly every angle of the property; a captivating and fully interactive 3-D virtual tour; helpful maps; detailed driving directions; the most up-to-date pricing; a complete list of features that showcases the most desirable upgrades and individual customizations; and a veritable plethora of information that you won’t find anywhere else. As you can clearly see, working with Jessica certainly has its perks! Sun City Peachtree Best Deals! 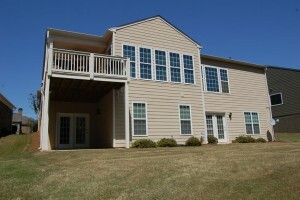 121 Dahlia Dr.
Sun City Peachtree ®: Prepare to unlock the lifestyle you want to lead. 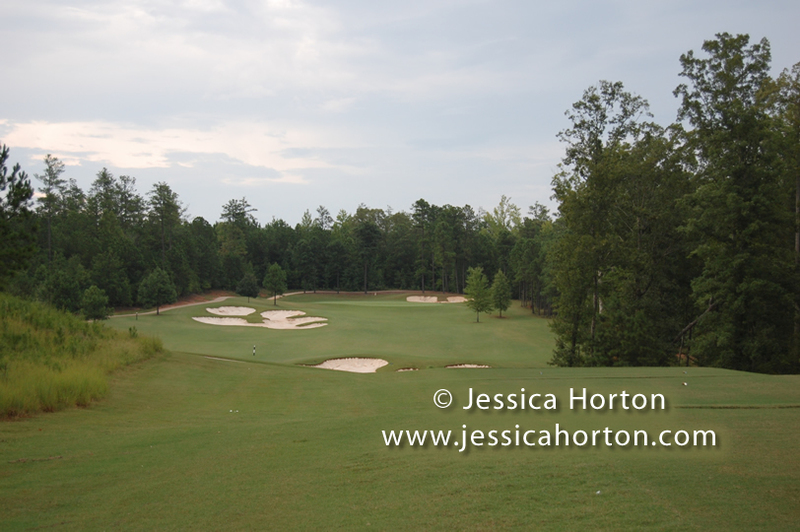 . .
Sun City Peachtree®—metro Atlanta’s premier gated active adult golfing community—basks under the warm Georgia sun that gilds its 1700 acres. This inviting enclave answers the lifestyle questions that active home buyers are asking. From ease-of-access ranch homes to the bustling clubhouse at the heart of the community, you’ll discover a rare combination of features, amenities, and activities that unlock the lifestyle you want to lead. 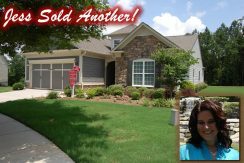 And waiting to introduce you to Sun City Peachtree ® resale homes is Jessica Horton. Jessica has dedicated herself to serving the needs of her clients downsizing from the homes where they raised their families. 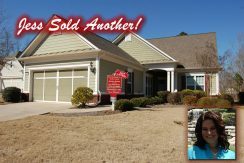 Her intimate knowledge of the Sun City Peachtree ® resale market, coupled with her stellar dedication to her clients, makes her your ideal guide. 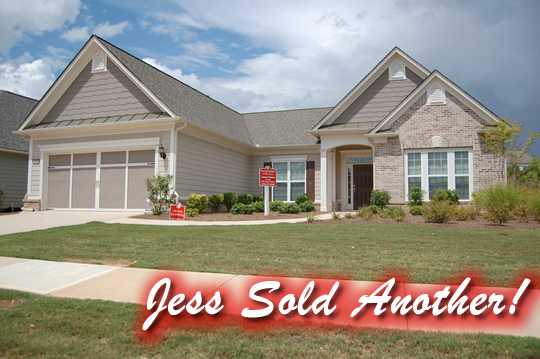 As an independent real estate agent, Jessica works for you, not the builder. 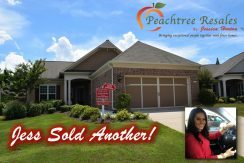 Currently ranked the Number One Resale Agent at Sun City Peachtree®, she makes it her mission to guide you, the buyer, to an informed decision—while saving both your time and your money. Sun City Peachtree has been designed with distinction. . . The splashing of a dramatic waterfall welcomes you to Sun City Peachtree®. As you enter, you’ll note the clock tower that marks Club Peachtree, the amenity center. 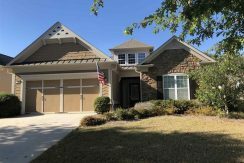 Your eye is drawn to the lush and colorful landscaping—and everywhere you see the fine distinctive stonework which is the community’s hallmark. This community is located 35 miles south of Atlanta, in historic Griffin, Georgia, the birthplace of the notorious Doc Holiday. Designed with a minimum of two bedrooms and two baths, the fifteen floor plans offer fantastic flexibility in planning your home. Choose from the Azalea, the Dogwood, and the Magnolia Collections, with prices starting at $136,000, $169,000 and $210,000, respectively. Look for signature features such as sunrooms, screened lanais and covered patios—spaces making the very most of Georgia’s temperate climate. 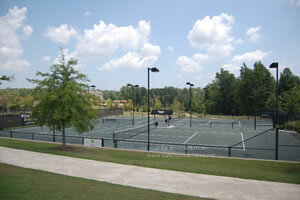 Sun City Peachtree ® has an abundance of amenities. . . If you’re a tennis aficionado, you’ll appreciate the signature tennis and fitness program by the renowned Tim Wilkison. A well-stocked pro shop serves the nine lighted clay courts. And here the outdoors always beckons—from bocce ball to pickleball, from softball to basketball, from walking and hiking trails to the ever-popular dog park. The list goes on and on! 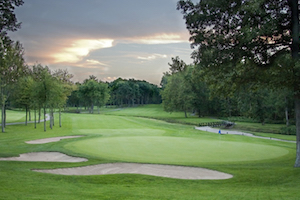 The clubhouse Cannon Gate 18-hole golf course was designed by nationally recognized Gary Stephenson. They’re serving breakfast and lunch at the clubhouse; be sure to toast your winning round with an Arnold Palmer specialty drink! Sun City Peachtree’s® 45,000SF amenity center, known as Club Peachtree, hosts numerous offerings. The resort-style in-ground outdoor pool and spa tempt all comers. Indoors you’re invited to try out the heated salt-water pool, the walking track, the state-of-the-art fitness center, and the pleasant studio where residents enjoy aerobics, dance, yoga and many other fitness pursuits. A library features computer/internet access. And the demonstration kitchen is always abuzz with culinary adventures. Read a good book lately? Share your discovery with the Book Club. Proud of your green thumb? Join the Garden Club folks. Know your way around a deck of cards? New friends are waiting for you in the Bridge Club and on Poker Night. All in all, Sun City Peachtree ® boasts more than twenty interest groups—all of them ready to make you welcome. Don’t see your favorite hobby here? Run it by the full-time Lifestyle Director and maybe start a new one! A slew of much-anticipated special events spices up life here. There’s the annual Music Fest; the Chili Cook-Off; Cook for the Cure, which benefits breast cancer research; and much, much more. 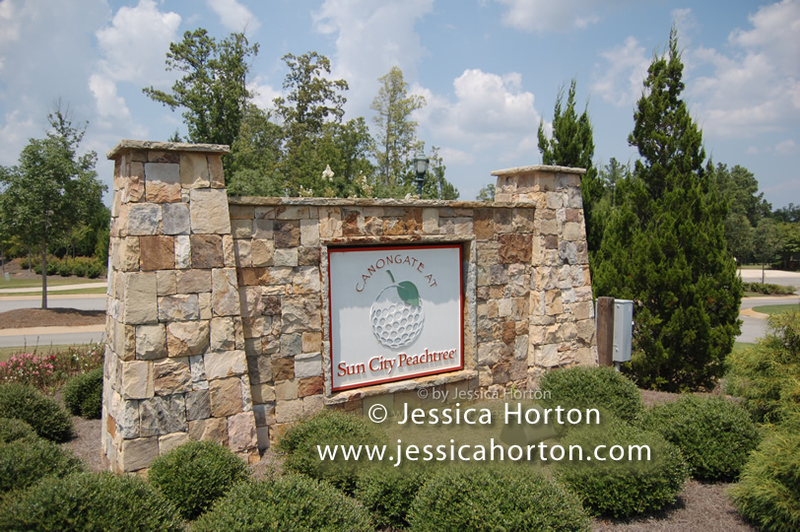 Sun City Peachtree: Gateway to the South. 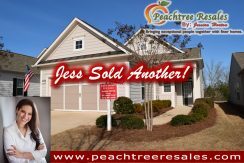 . .
Jessica Horton & Associates – Sun City Peachtree Resale Specialists. To ensure the very best experience when visiting Sun City Peachtree, please call Jessica Horton at (678) 871-9660 and schedule an appointment. 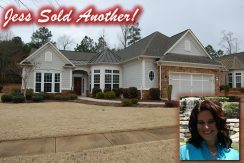 Waiting to introduce you to the Sun City Peachtree® Resales market is: Jessica Horton. 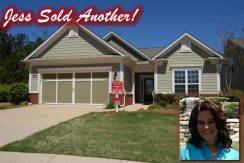 Jessica has dedicated herself to serving the needs of her clients downsizing from the homes where they raised their families. 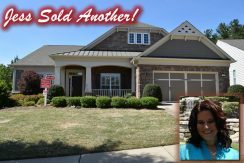 Her intimate knowledge of Sun City Peachtree® Resales, coupled with her stellar dedication to her clients, makes her your ideal guide. 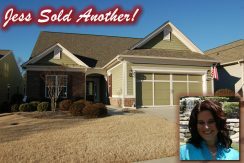 As an independent real estate agent, Jessica Horton can work directly for you, not the builder. 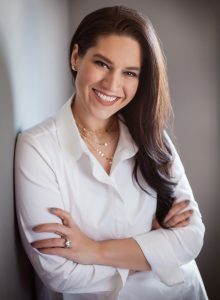 Currently ranked the Number One Resale Agent at Sun City Peachtree®, she makes it her mission to guide you, the consumer, to an informed decision—while saving both your time and your money. 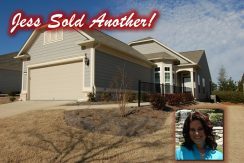 In fact, Jessica Horton has saved savvy home buyers and sellers over $400,000.00 in real estate commissions (compared to paying 6%). Bringing Exceptional People Together with Finer Homes. 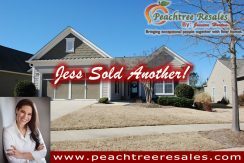 Jessica Horton has her finger firmly planted on the pulse of the Sun City Peachtree market. Read her blog. Learn valuable market information. Comment on her posts. Become informed about all things going on in the community.